Not Retwisting My Locs Causing Itchy Scalp? 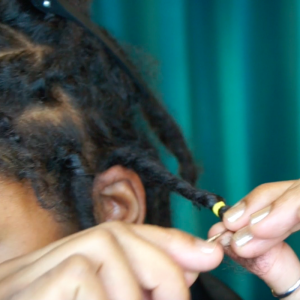 Can you believe it’s been 7 Weeks since we kicked off the No Retwist Challenge?! I am still going strong and I’ve learned so much about my locs and hair styling options to extend the life of my retwist (or lack thereof). When we began the #NuGrowthChallenge, my go-to style was a braid-out, but I’ve since fallen in love with the Wrap-a-Loc curls. 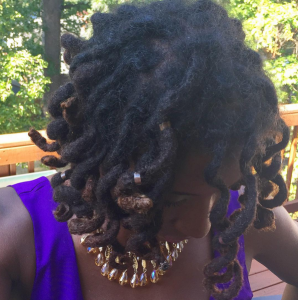 READ: What are Wrap-A-Loc Curlers? This week, I kept my Wrap-A-Loc Curls in because they still looked fairly new when “wash day” came around; however, my scalp was looking forward to that shampoo. 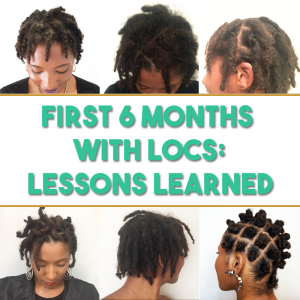 Almost immediately after I decided not to shampoo my locs, my scalp became very irritated. Initially, I tried to remedy the irritation with oil, Sweet Almond Oil to be exact, but that only made matters worst. Then I realized that my scalp just needed to breathe. It needed to be cleansed. So, instead of shampooing my locs and losing my spiral curls, I refreshed my scalp with a natural astringent— Everything is all better now. 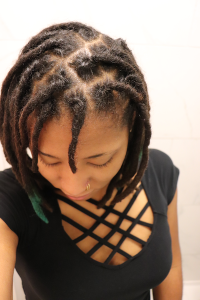 With only 1 week left in the #NuGrowthChallenge, I don’t necessarily have the desire to retwist my locs, because I love the thickness, but I do want to tame all these loose hairs that have crept out of their assigned locs. It is really getting out of control. How do you treat / cleanse/ remedy itchy scalp? I couldn’t make it past 4 weeks. My roots was a huge afro by week 3. I wish my roots looked like yours after 2 weeks.